One day, Hendri and I had a plan to visit Lombok Island. I who is from Jember, and Hendri who is from Situbondo decided to meet up at Ngurah Rai International Airport, Bali, and headed to Lombok together from there. Hendri arrived earlier because he left his town in the afternoon and arrived on the next day. While me, I had to overwork and headed to bus station to Bali. Shortly, we met at Dyan’s boarding house in Denpasar, and continue our way to Ngurah Rai International Airport on may 17th 2012. Arriving at the airport, we had to wait for the plane. During that time, I recharged my almost-powerless mobile, while Hendri used his credit card to get benefit to have a free lounge and waited in the VIP waiting room. Hendri sent me some snacks from the VIP lounge. In a while, our plane arrived. Honestly, I was a bit worried, because it was my first time taking small plane and it has propellers. In the plane, I also sat by the window because I know Hendri is an acrophobic. I burst out knowing it because Hendri is a big guy, but afraid of height. I prayed before the plane took off. It was about 30 minute’s flight. 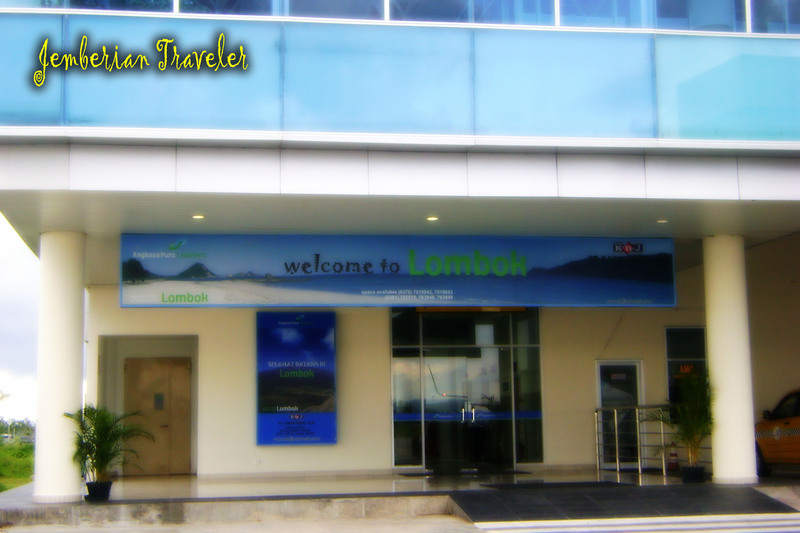 And finally we landed on Lombok International Airport. 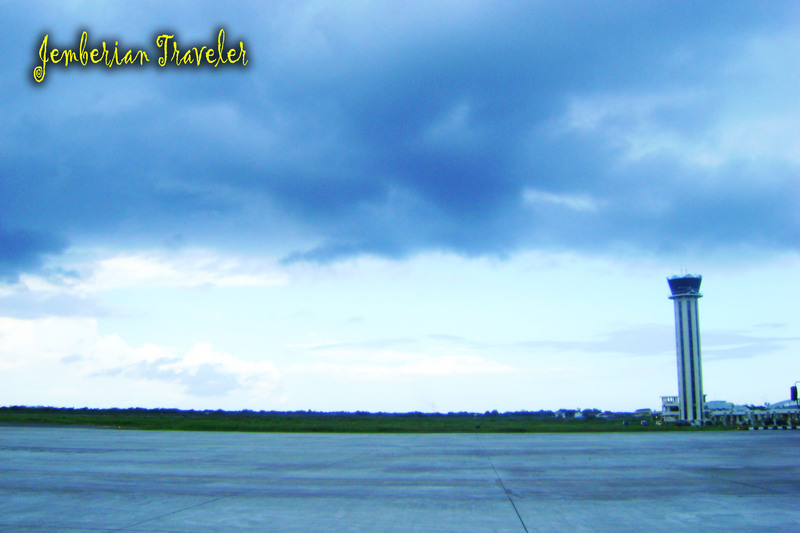 Our arrival was accompanied by the sunset, though I t was covered by some thick cloud. I saw nice scenery and the building of the airport. My first imagination of it was a big modern airport, and many tourists; local and foreign ones. 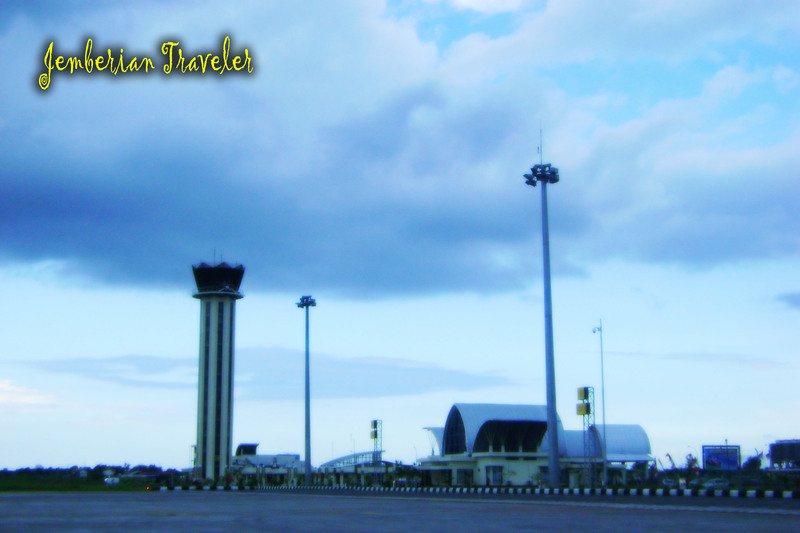 In fact, all I could see was foreign tourists, and the airport is not as big as Bali’s and Surabaya’s. Travel services were in every place on the exit of the airport. There were also hawkers selling their goods; even around the airport complex you can find public market. 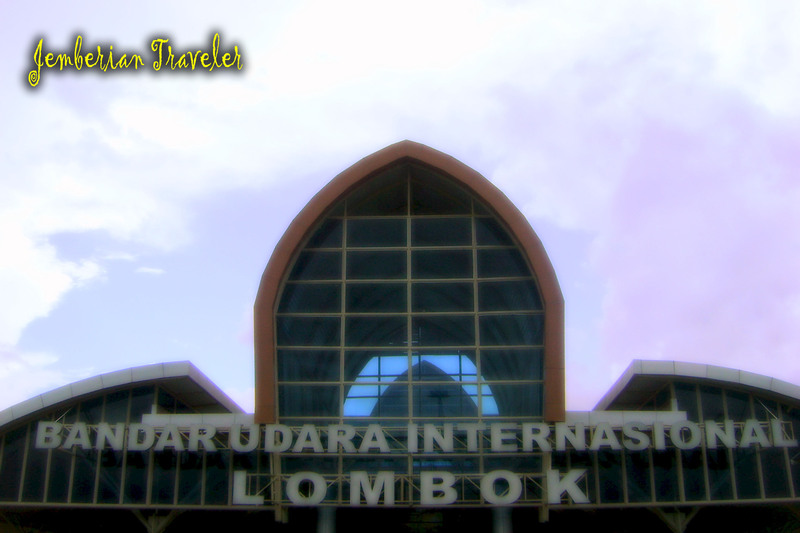 Lombok International Airport was opened on October 1st 2011 and is located on Jalan Raya Tanak Awu, Central Lombok – Nusa Tenggara Barat. 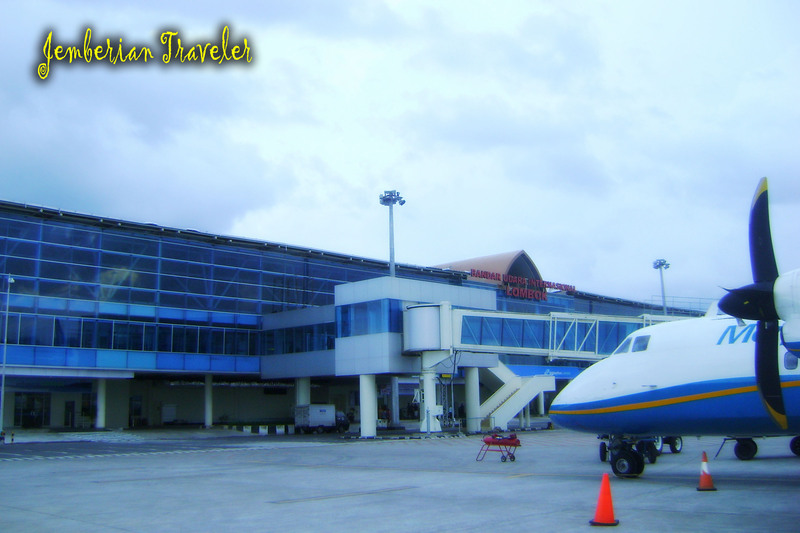 Some designs of the airport was inspired by the Sasak people (the original race of Lombok Island)’s barn. The positive impression I can take from it is that they still keep the identity of local culture. Even though it is labeled international airport, they still give attention to the local people’s economy by providing place for them to open their business. And the thing that should be followed by other city is that almost all of the service providers and those who pick the passengers from the airport speak English well though they are not very fluent.